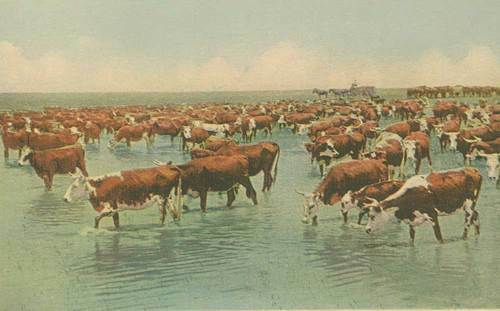 This colored postcard shows a view of cattle being herded to water. Creator: COPR. Detroit Publishing Co.